Here you can see the jewelry has the same feel as the 1953 ad shown in #1. By this time I think their jewelry is starting to wind down a bit. 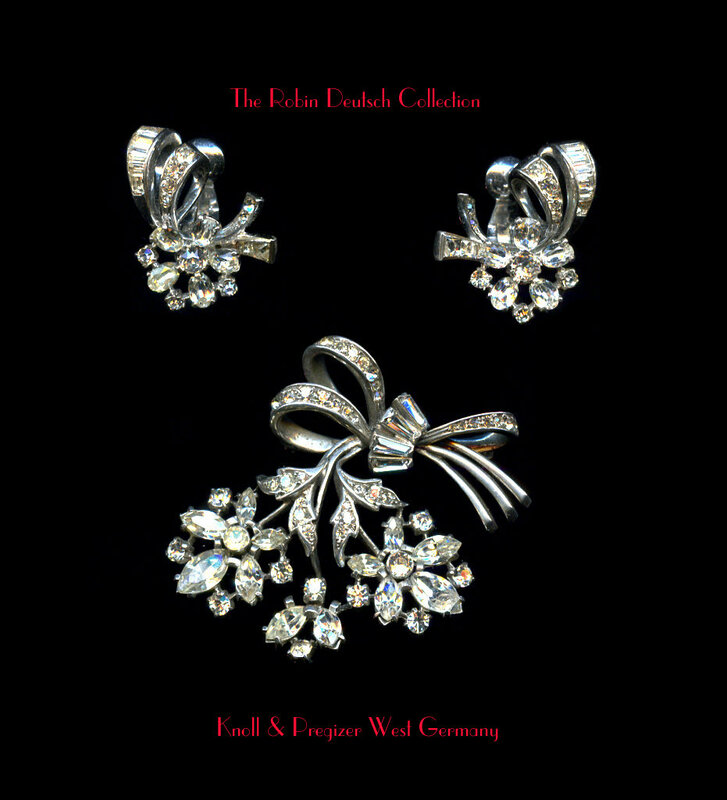 This is very typical of 1950s white "diamond" jewelry. The earrings are clip backs but the clipback mechanism is not entirely made of sterling. Inside it is marked "metal", probably to keep costs down. The large stones are open back in prong settings but the other stones are channel or bead set. Still lovely, but the jewelry is becoming a little more pedestrian. Marked Sterling West Germany KP. This particular set came from Australia, so their jewelry was probably exported far and wide.